Browsing articles tagged with " Kennedy Space Center"
One of the more fun types of data is image data, both meta data and actual images. So I turned to Google Maps and Bing Maps to see what various sites at the Kennedy Space Center looked like. Here’s a launch pad from Google Maps. You can see the boosters there. 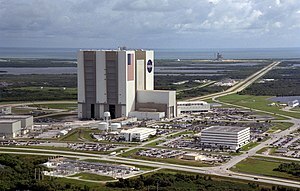 Then there’s this image of the Vehicle Assembly Building (VAB). At first I was confused why part of this area was blackened out, until I realized the dark area is the shadow from the VAB. 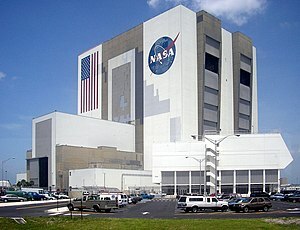 The first visualization I saw of the VAB area caused my brain to jump to: "wow, they’ve blacked out some of the Space Center" when all that was going on was a perfectly natural occurrence of sunlight and shadow. I find it interesting that that different views of the same locations (via two different data services, Google and Bing) gives me a different understanding of the same places. There seems to be a lesson there in displaying the same data in many different ways.